A new series of 4-hetroaryl substituted quinazolines were designed and synthesized by the reaction of pentafluoro(chloro)pyridine and 2-substituted quinazolinone. The aromatic nucleophilic substitution of pentafluoro(chloro)pyridine with quinazolinone occurs at the 4-position of pyridine ring by the oxygen site (O-centered nucleophile) of quinazolinone. The structures of all the compounds were confirmed by IR, 1H NMR, 19F NMR, and 13C NMR spectroscopy as well as elemental analysis. Most of synthesized derivatives exhibited moderate to excellent antiproliferative activities against five human tumor cell lines. 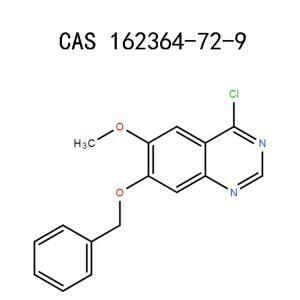 Compound 8d displayed the most remarkable inhibitory activities against tumor cells expressing wild type (A431, A549 and SW480 cells) or mutant (HCC827 and NCI-H1975 cells) epidermal growth factor receptor (EGFR) (with IC50 values in the range of 0.37–4.87 μM), as well as more potent inhibitory effects against recombinant EGFR tyrosine kinase (EGFR-TK, wt or T790M) (with the IC50 values of 7.0 and 9.3 nM, respectively). Molecular docking showed that 8d can form four hydrogen bonds with EGFR, and two of them were located in the Asp855-Phe856-Gly857 (DFG) motif of EGFR. Meanwhile, 8d can significantly block EGF-induced EGFR activation and the phosphorylation of its downstream proteins such as Akt and Erk1/2 in human NSCLC cells. Also, 8d mediated cell apoptosis and the prolongation of cell cycle progression in G0/G1-phase in A549 cells. The work would have remarkable implications for further design and development of more potent EGFR tyrosine kinase inhibitors (TKIs). ♦ May be fatal if swallowed and enters airways. ♦ Causes serious eye damage. ♦ May cause respiratory irritation. ♦ Wear protective gloves/protective clothing/eye protection/face protection. ♦ IF SWALLOWED:Immediately call a POISON CENTER or doctor/physician. ♦ IF IN EYES: Rinse cautiously with water for several minutes. Remove contact lenses, if present and easy to do. 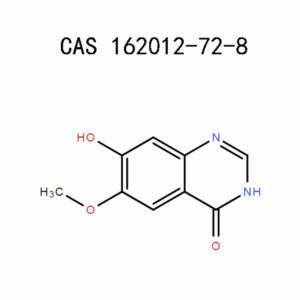 APICMO manufactures and distributes fine chemicals with quality you can count on including those with CAS number 27631-29-4, You can be assured that all 2,4-Dichloro-6,7-dimethoxyquinazoline products offered by Spectrum, meet or exceed the grade requirements or specifications for each individual product. Do you need to be supplied with large or small quantities of 4-Chloroquinazoline 5190-68-1 that is of the highest quality? Look no further, we at APICMO synthesize, produce and manufacture large quantities 4-Chloroquinazoline among other many chemicals. All our products are of the highest quality as we strictly conform to all CMPG regulations on quality control as well as other manufacturing regulations and standards. 4-Chloroquinazoline is in the class of quinazolines. 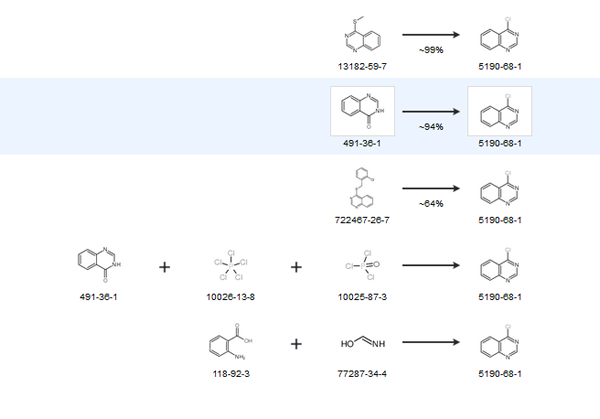 Quinazolines are very vital when it comes to medicinal chemistry. They are classified as broad-spectrum heterocyclic compounds. 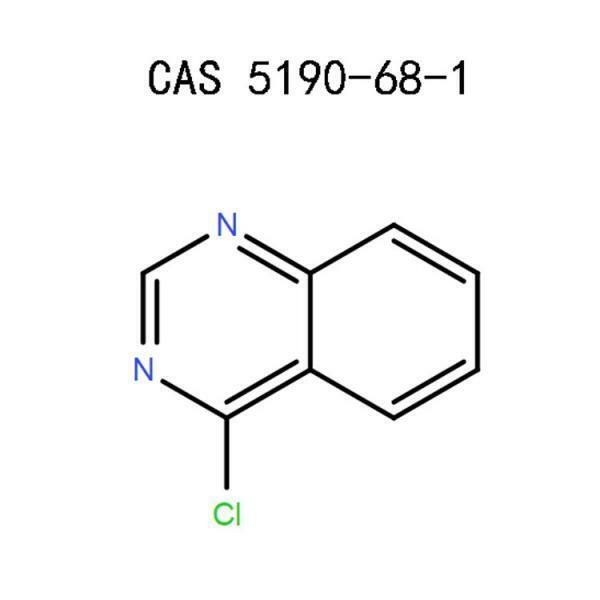 Quinazolines possess wide range biological properties that enable them to act as; anti-inflammatory, anti-fungal, anti-bacterial, anti-tuberculosis, anti-viral, anti-malarial, anti-cancer, anti-HIV and also have an analgesic ability. There are various names all referring to 4-Chloroquinazoline 5190-68-1, and they include; 4-Chlorchinazolin, 4-Chloroquinazoline, Quinazoline, 4-chloro-(8CI) (9CI), 4-Chloro quinazolines, Quinazoline, 4-chloro, 4-chloro-quinazoline and many more. 4-Chloroquinazoline is in the same category as; heterocyclic building blocks, chemical synthesis, halogenated heterocycles, building blocks, and quinazolines. 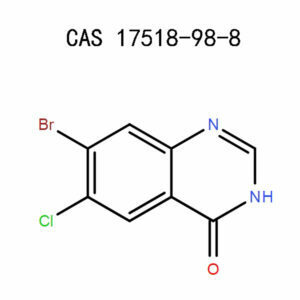 Having a molecular formula of C8H5CIN2, 5190-68-1 has an exact mass of 164.014 g/mol and a molecular weight of 164.592 g/mol. It has two aromatic rings and a density of 1.349 g/cm3. The melting point ranges from 96-100 degree Celsius with the boiling point of 281 degree Celsius at 760 mmHg. The refractive index is 1.662 and PSA of 25.78000. 5190-68-1 comes in liquid form and is clear colorless to light yellow in color. Direct contact of 4-Chloroquinazoline with the skin can cause skin irritation and corrosion. Use protective clothing whenever you are handling this product. 5190-68-1 can be toxic when ingested, may be fatal if it’s swallowed. Avoid eating, drinking or smoking when dealing with this product. Do not inhale or breathe 4-Chloroquinazoline as this may irritate the respiratory tract and cause toxicity of specific organ. May be fatal if it enters the airways when breathed or inhaled. Any contact with eyes may cause severe eye irritation and even lead to eye damage. Potential special hazards for 4-Chloroquinazoline include; Hydrogen chloride, Carbon dioxide, and Nitrogen Oxides. If your eyes accidentally get in contact with 5190-68-1, be haste to flush with an adequate amount of water. While doing this lift the upper and the lower eyelids from time to time to ensure a thorough wash. If the contact lenses are present and easy to remove, do so as you continue with the rinsing. Seek immediate medical care or call a local poison center. For direct skin contact, wash the affected skin with copious amounts of water using a mild soap for about 15 minutes as you remove any contaminated clothing and shoes. Seek medical attention as soon as possible or call a poison center. Remember to wash the contaminated clothes and shoes before reuse. If 4-Chloroquinazoline is breathed or inhaled, immediately remove the victim from exposure. Bring the victim to an open area with fresh air or a well-ventilated room. Place him or her in a comfortable place away from congestion to allow easy breathing. You can administer artificial respiration where breathing is difficult or has stopped. Remember never to attempt mouth to mouth resuscitation where chemicals are involved. Lastly, consult a doctor or physician; you can also call a poison center. If you or someone else accidentally ingest or swallow 4-Chloroquinazoline, rinse the mouth thoroughly with plenty of water for about 15 minutes. Never attempt to induce vomiting unless you are advised by a healthcare provider to do so as this may cause more harm. Do not try to administer anything orally if the casualty is unconscious. Get help from a healthcare provider as soon as possible or call a poison center in your area. 5190-68-1 should be handled with caution strictly by a professional expert or under their close provision. When handling, remember to consider health hazards, fire and chemical hazards as indicated in the data sheet provided. Eye shields like safety goggles that are resistant to chemicals along with a face shield to protect your eyes and face from any contact with this product. Wear gauntlets or impervious gloves that are inspected before use to prevent your hands from any direct contact with this chemical. The gloves should be resistant to chemicals. Always remember to remove the gloves carefully with touching its exteriors. Dispose of the used gloves in adherence to the local, regional and national regulations. Use type P2 respirator cartridges or approved mask to ensure you do not breathe or inhale 4-Chloroquinazoline. Avoid forming dust and aerosols when working with this product. Cover your nose with a dust mask. Always use a chemical fume hood when working with this chemical and ensure the area is well ventilated. Always wash your hands before you go for breaks and at the end of your workday. Wash your body thoroughly after handling this product for personal hygiene. Never allow 5190-68-1 to flow into water drains or sewer lines. In case of spillage, mix this product with an inert absorbent such as sand then collect into a well-labeled container and close tightly before disposal. Close the containers tightly and lock up in a secure place away from unauthorized persons. Store the product in a cool, dry place that has adequate ventilation. As indicated earlier, keep away from possible hazardous combustion materials such as hydrogen chlorides, carbon monoxide, and nitrogen oxides. In case a fire involving this product either alone or in with other materials breaks out; ensure you put on the approved protective gear and a self-contained breathing apparatus before you proceed to fight the fire. Use carbon dioxide, dry powder, alcohol-resistant foam or water spray. Never use a water jet to extinguish the fire involving this product. Always ensure you keep a safe distance when putting off a fire. Dispose of this product as a special waste conforming to all local, regional and national regulations. You can arrange for collection by a professional and licensed firm after consulting your local waste disposal authority. Alternatively, you can burn this product in a controlled incinerator that is fitted with flue gas and a scrubber. Be cautious when igniting this product as it’s highly flammable to avert an accident. Give away any surplus of any unused chemical. Triple rinse the empty containers for recycling and reconditioning. You may also opt to puncture the empty containers to make them unusable for future use then dispose of them in a sanitary landfill. 5190-68-1 is generally stable when stored at the recommended conditions. Avoid exposure to sparks, flame, and heat. Keep away from possible hazardous combustion products such as nitrogen oxides, hydrogen chloride, and carbon monoxide. The proper shipping name is Toxic Solids, Organic, N_O_O_ (4-Chloroquinazoline). It’s in Class 6.1, Packaging Group III and the UN Number is UN 2811. All chemicals in this material are not subject to reporting regulations set by SARA Title III, Section 302. Their CAS numbers do not exceed the threshold reporting levels established by SARA Title III, Section 313. At Apicmo, we pride ourselves in our team of experts who are highly qualified and have experience in Chemical Synthesis, Life Science, Analytical Science, Material Science, Chromatography and many more. Whether you need large quantities of 4-Chloroquinazoline 5190-68-1 for research, development or manufacturing; get in touch with our team of dedicated and friendly customer care, and we will deliver your order as precisely and as soon as you need it. National Centre For Biotechnology Information, US. National Library Of Medicine, PubChem,4-Chloroquinazoline, 5190-68-1 Sections 1-9.